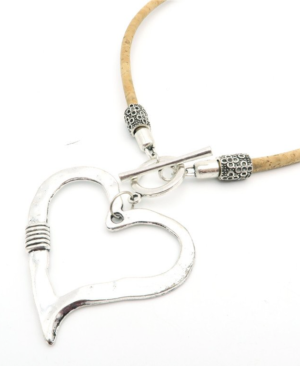 The heart pendant is incredibly striking featuring a ‘hammered’ effect, which adds to the contemporary look and feel. 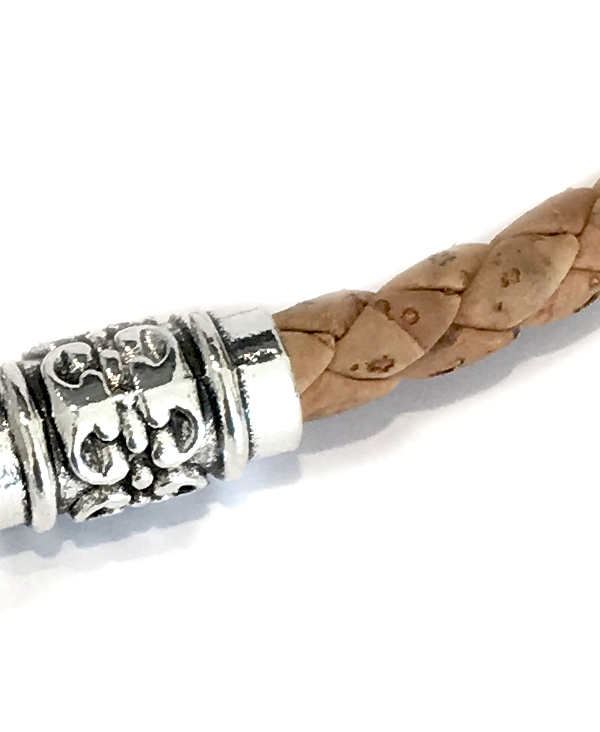 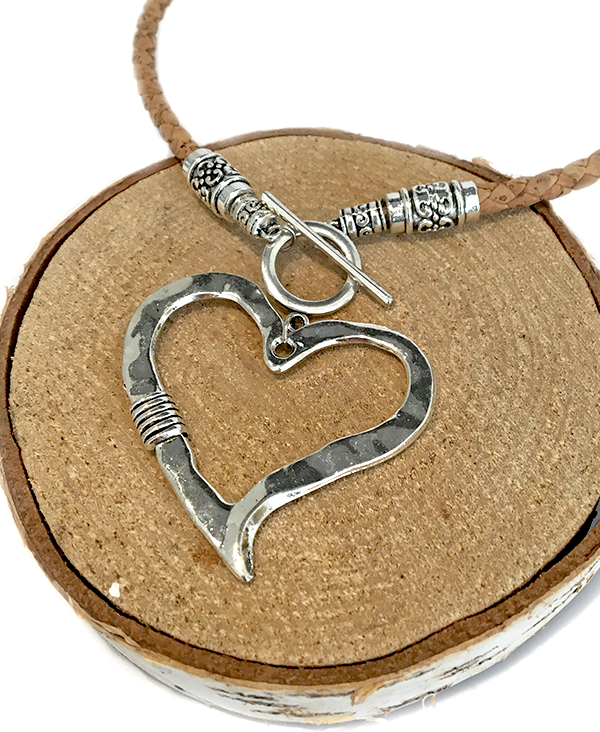 The braided cork adds a chunkier dimension to the necklace, which is beautifully offset by the antique silver plated embellishments. 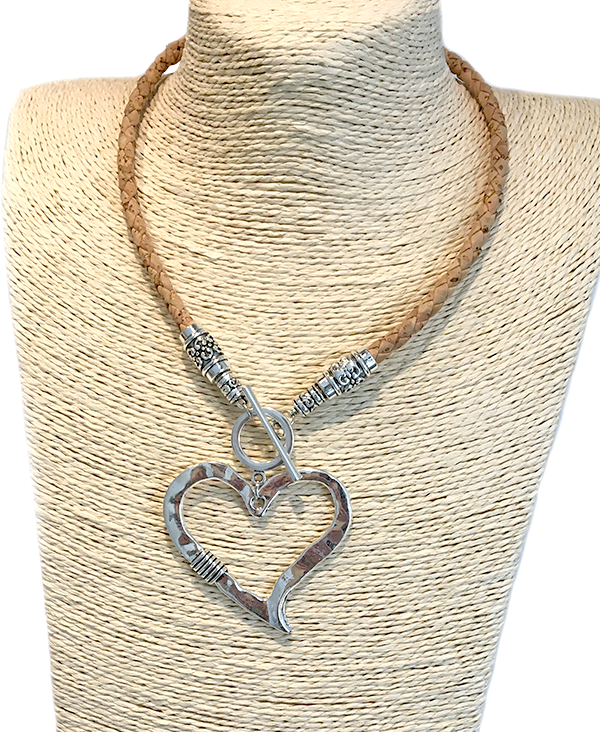 The neutral tones of this stylish hand crafted cork pendant together with its lightweight feel make it an effortless and versatile wear. 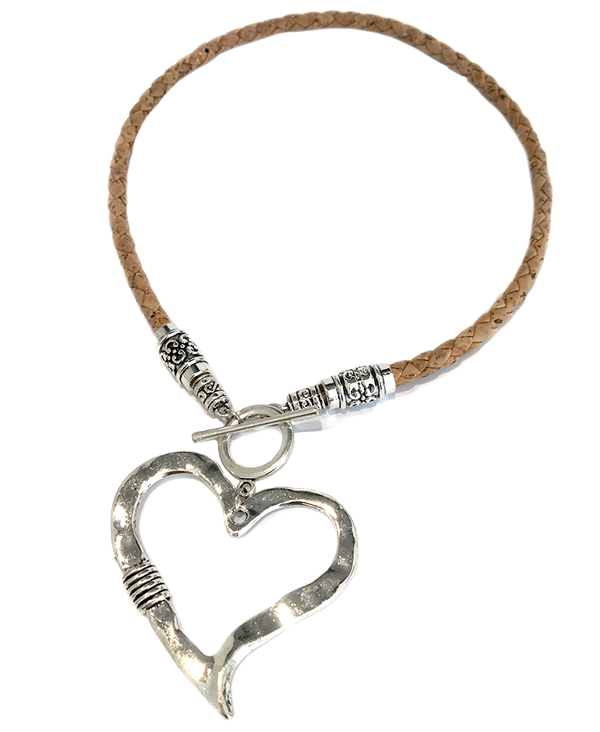 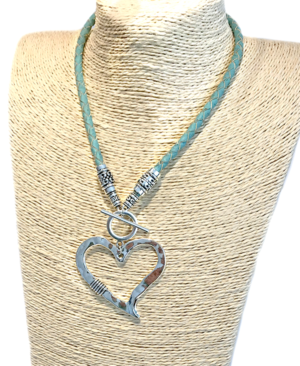 This firm favourite is also available in a turquoise braided cork or in a natural smooth cork.